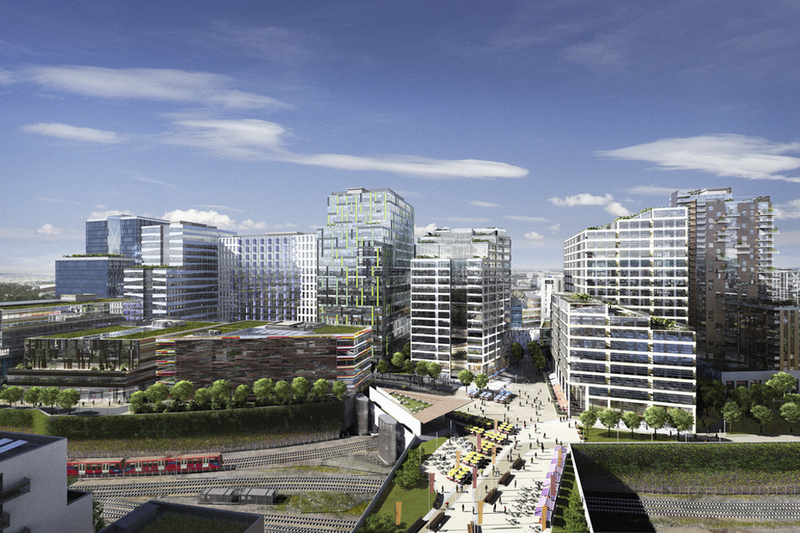 The first phase of Lend Lease’s major development in Stratford. The project consists of 2 residential blocks of 17 and 30 storeys. RC frame construction starting with large foundation pads above piles. 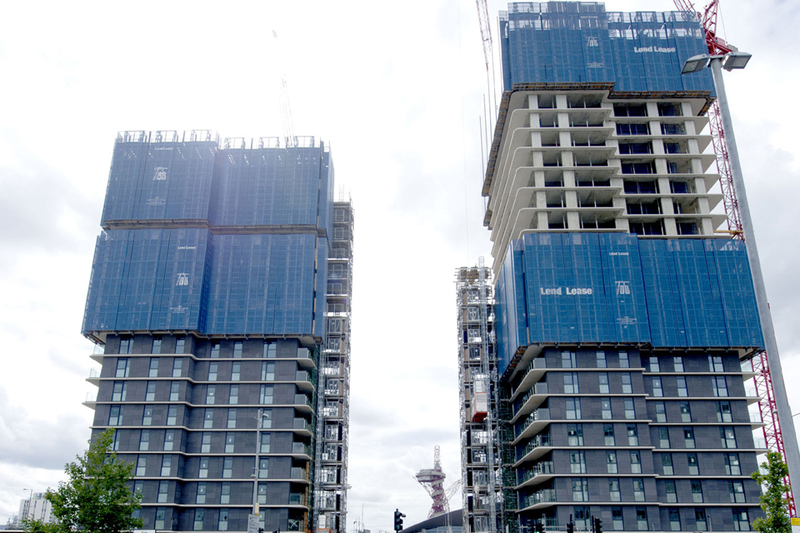 A central core on each tower achieved using jumpform systems typically 3 floors ahead of slabs. This system produced a good finish on the walls requiring only minimal re-work to allow for direct painting within stair cores. 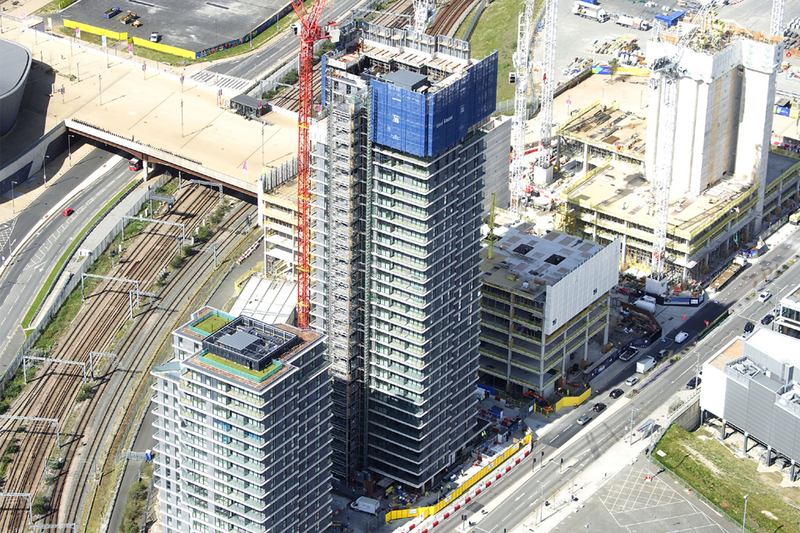 Floor slabs typically 550 – 600 m2 each incorporating pre-cast balconies at the perimeter. The balconies included a cast in thermal break and connection bars. This allowed the balconies to be installed prior to the concrete pour for the slabs. Average 6 day cycle achieved for floor slabs. 2 sets of screens used on each tower; the first used to encapsulate the concrete works at the top as the structure progressed; the second used for cladding works on completed structure below.